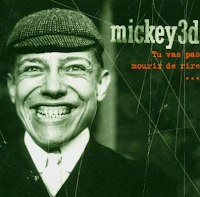 In addition to the handicap of singing in French in the Anglophile pop world, Mickey 3D also suffer from failing to fit into a simple category; in music, it pays to be immediately identifiable. On probably their best album, Tu vas pas mourir de rire (2002), this very good band from the Loire region in the centre of France jump from hip-hop (Les enfants) through rock (Amen) and North African influences (Yalil) to synth pop (La peur) and chanson (Chanson de rien du tout). 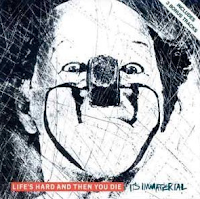 Best known for singles Driving Away from Home (Jim's Tune) and Ed's Funky Diner, included on any number of 1980s pop compilations (and ads), It's Immaterial are typically characterised as synth pop although the Liverpudlian duo were mining the new wave with a particularly British blues we would probably label folk. Album Life's Hard and Then You Die (1986) showcased the band's offbeat lyrics, while follow-up Song (1990) was produced by The Blue Nile's producer Calum Malcolm, who made them sound a bit like The Blue Nile. I have no idea where one-man band Jonny Green came from, nor where he went after 2002's splendid Fear of Gravity album. He's writer, guitarist, drummer, programmer, vocalist and producer on this sneaky, fun album of looped samples, strings and more. 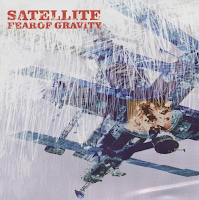 It's pop with a dark edge: 'You took my clothes/ So that I couldn't go out/ That's how I got arrested' (from the title track); Baby it's You rocks out ('I don't know what a psychopath like you wants from me') while instrumental October is the Art of Noise revisited, of all things. And then... nothing?